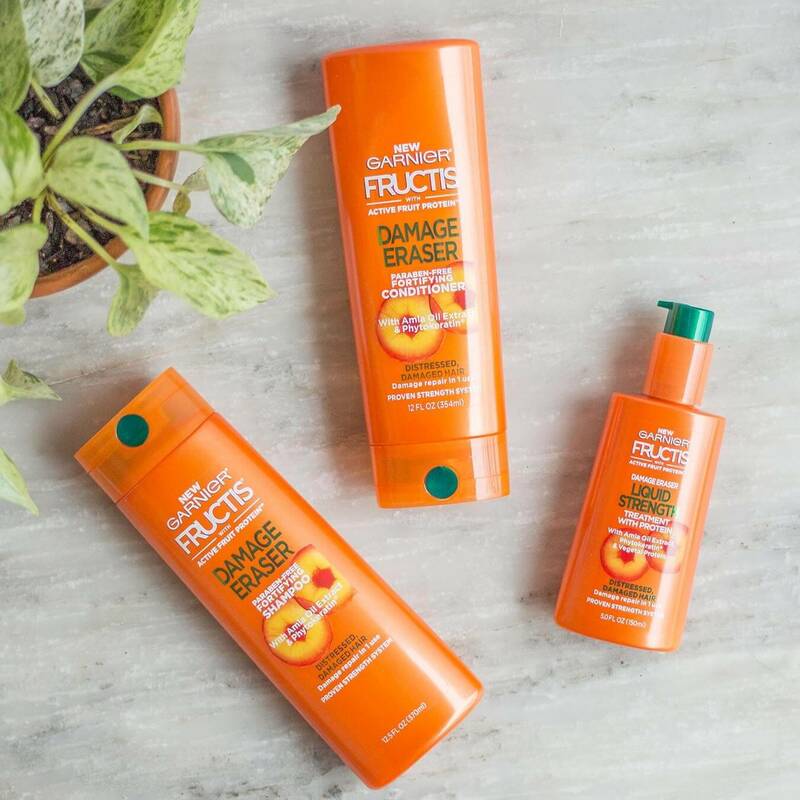 Formulated with Amla Oil Extract, Vegetal Protein & Plant-keratin, plant-based amino acids similar to those naturally found in hair, our lightweight Fructis Damage Eraser Liquid Strength Treatment with Protein helps bring strength to instantly transform hair back to its undamaged-looking state. DUAL USAGE: Can be used as a daily leave-in or an overnight treatment. DUAL USAGE: Can be used as a daily leave-in or an overnight treatment. 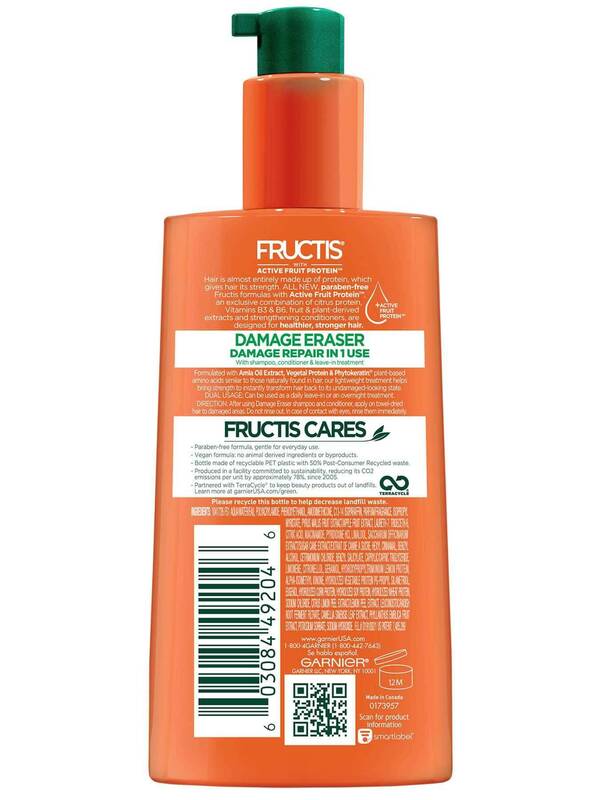 After using Damage Eraser shampoo and conditioner, apply on towel-dried hair to damaged areas. Do not rinse out. In case of contact with eyes, rinse them immediately. Rated 4 out of 5 by Sandra1124 from Why can’t I find this anymore???? I really do not use many products on my hair. I like natural hair. 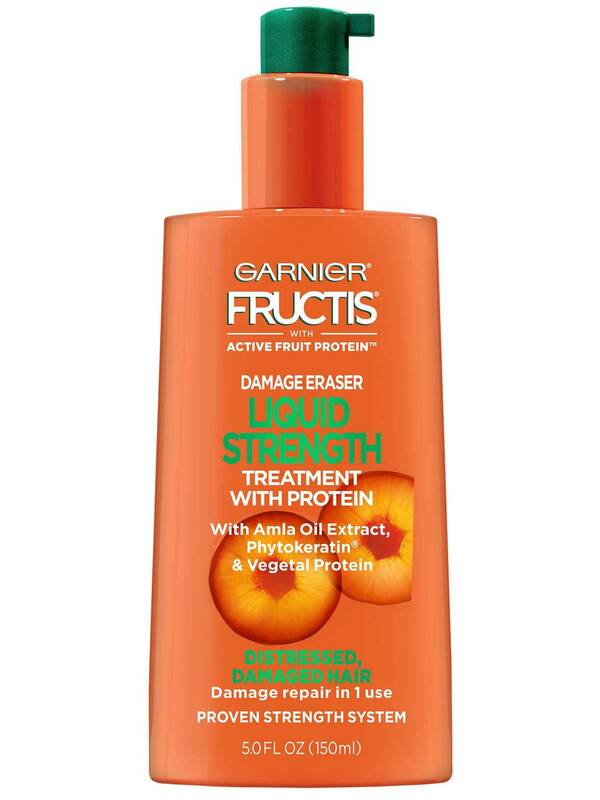 Many products weigh my hair down, make it sticky, or greasy and this one did not. I really liked it I put it in my hair after showering at night and was able to wake up in the morning and style it with no issues. Now I can not find it at any of the stores in my city. It’s very frustrating. Rated 5 out of 5 by Starlin60 from My second review I love it. My hair is curly, frizzy, and thick. It's been damaged from dying it to much. This stuff had repaired much of the damage I've caused. My hair is shinier and less burned looking. I also love the smell. Rated 3 out of 5 by Starlin60 from Can't read the print I only have one problem. So far. I just bought mine last week so, I am barely going to use it. I had to go online to see the directions for use! The words are way too small on the bottle! Even my 10 year old niece couldn't see them. I will return after I've used it to give my review of your product. Love the smell though! Rated 1 out of 5 by Karen319 from Does nothing for my hair This is an absolutely useless product which did nothing for my hair. The split-end bandage was such a better product and I could see the results. If you can't bring the bandage product back PLEASE make something better than this. Rated 1 out of 5 by Disappointed Mom 2 from Worst condition ever Bought a big bottle of this and was so disappointed. Me and my two daughters have been using this for over a month and have never had so many split ends! It leaves our hair so rough that you can’t run a comb through it after showering. We threw away half the bottle. I brought the garnier im the brown bottle to hopefully repair the damage to our hair. Rated 1 out of 5 by Patte from Damage control This new product does not hold a candle to the Heal and Seal. Heal and Seal totally eliminated the frizzies from my very thick, long, curly hair. The only product that has ever done this. Please bring it back. Rated 5 out of 5 by Karely22 from My only holy frail hair product! I've been using this for about two months and It's the only thing I need to make my hair manageable. I have voluminous, frizzy, curly/wavy hair and this stuff works wonders on it. It gives it the perfect amount of shine without being oily. Takes the frizz without weight my hair down and I can wear my hair naturally for the first time ever without worrying it'll get too out of control. Unfortunately It's always out of stock at the 5 closest walmarts/targets near. Definitely gonna have to buy online in bulks.